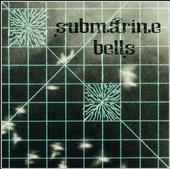 Submarine bells write melodic, melancholy songs about life, love and the ongoing struggle living in the big city…. Charles Burst is a multi instrumentalist, previously a member of the beloved Brooklyn psych rock band The Occasion. Now in solo mode, Charles has penned an album of ‘songs’ under his own name titled “Come Home and Feast”, released on Ernest Jenning Record Co. last year. Playing both piano and guitar and full band accompaniment Charles Burst references the clever pop of great songwriters such as Randy Newman & Bill Fay.